We are happy to announce the immediate availability of QtHelpConverter, an add-on application for Help+Manual to create Qt Help files. 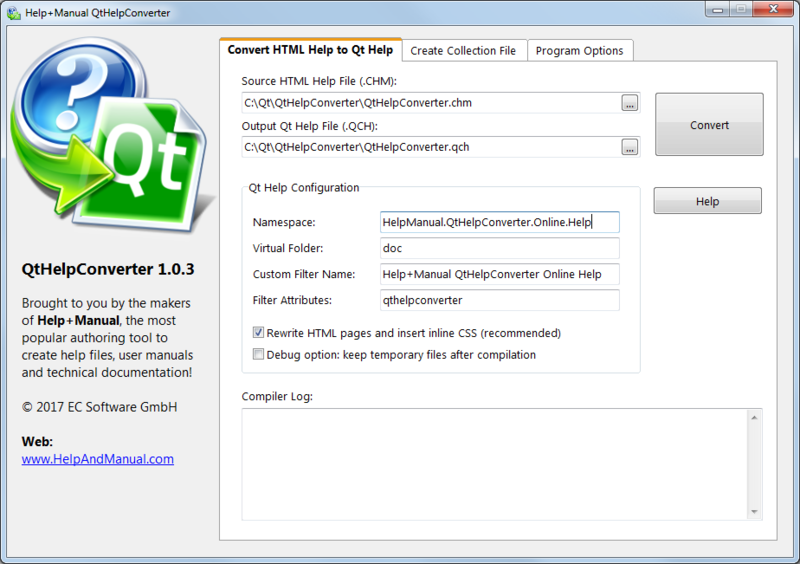 With QtHelpConverter as add-on, Help+Manual now publishes help files in Qt Help format. The converter is a stand-alone application and can be used with any standards-compliant HTML Help/CHM file. For seamless integration in Help+Manual, QtHelpConverter has a command line interface to turn a CHM files created by Help+Manual into a Qt Help file. The converter application includes online help (in Qt format, of course) with detailed instructions. You are currently browsing the archives for the CHM HTML Help category.